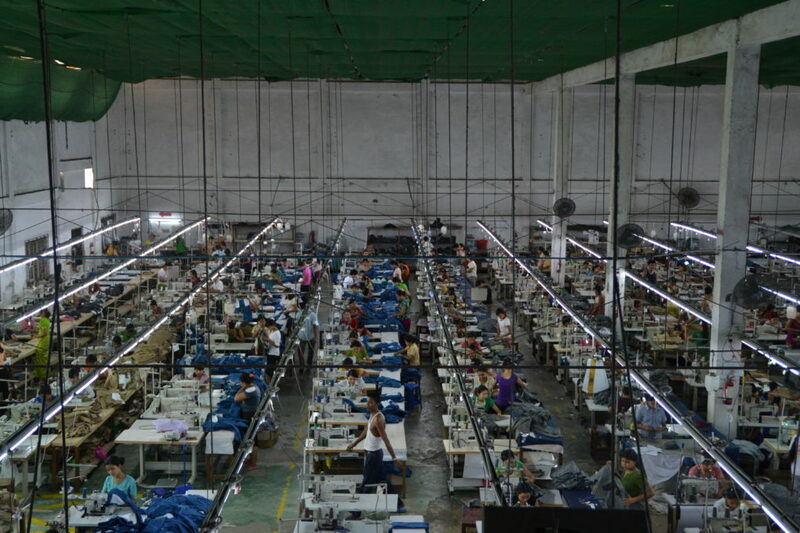 Pictures from workers in the garment industry in Myanmar. 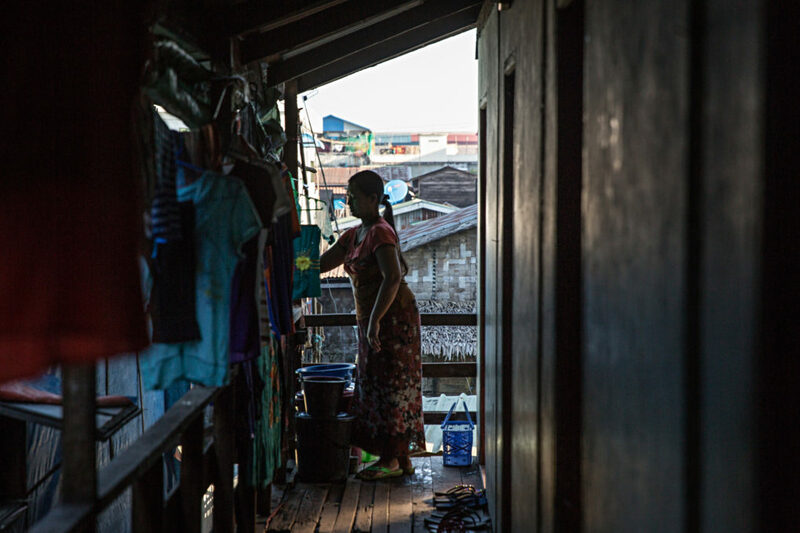 A garment factory worker hangs clothes out to dry at her dormitory in Yangon, Myanmar. 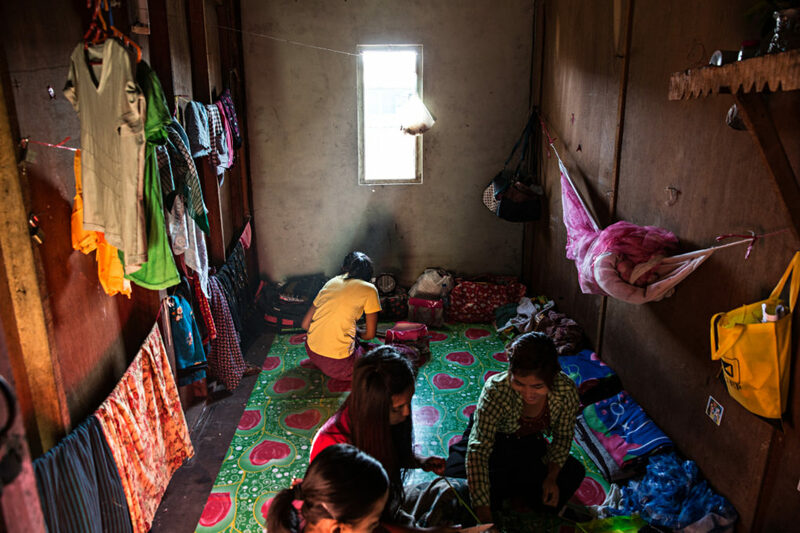 Garment factory workers prepare food in their small dormitory room in Yangon, Myanmar. 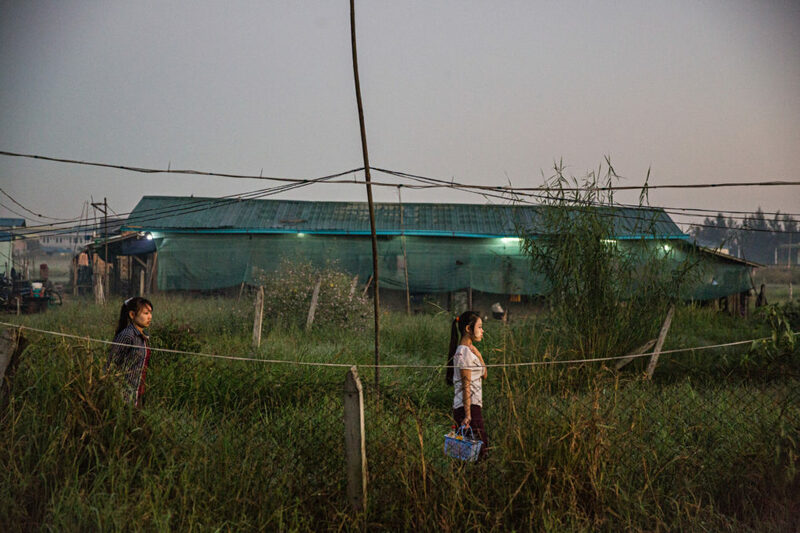 A young girl walks into her home, where many garment factory workers live. 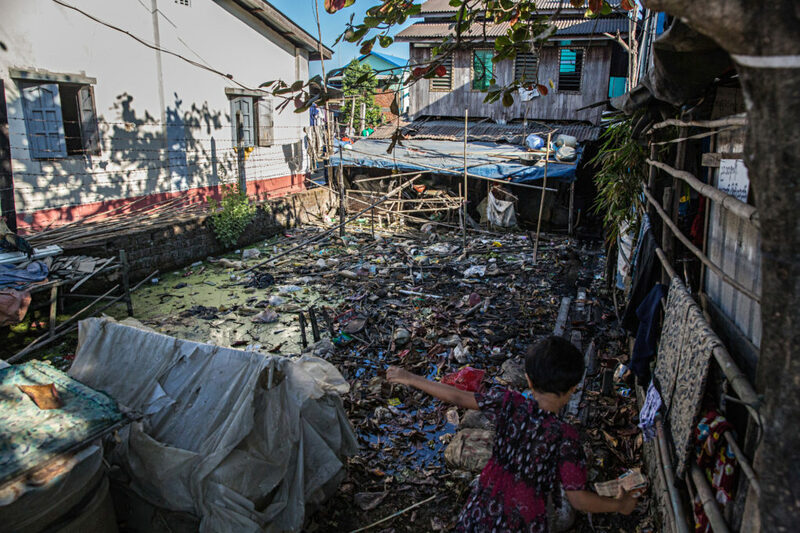 The area is full of trash and is flooded with dirty water. 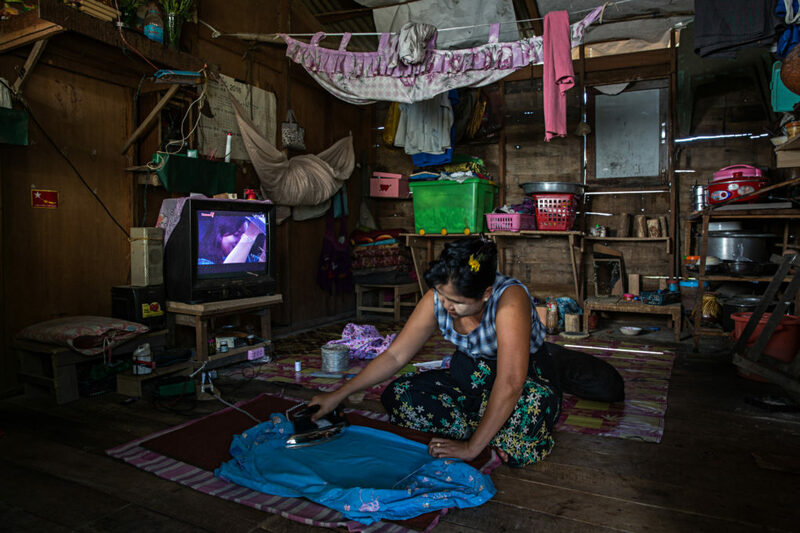 A woman irons clothes in her home. 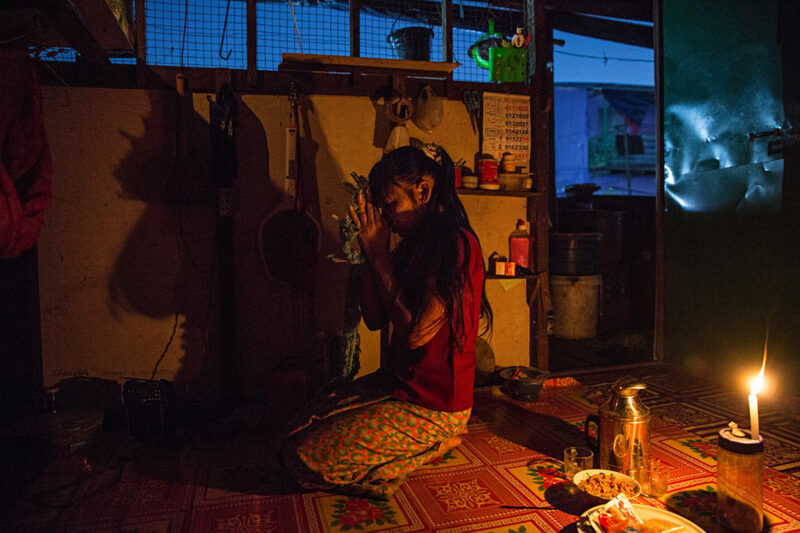 A garment factory worker prays to the small Buddhist shrine in her family's home before going to work. 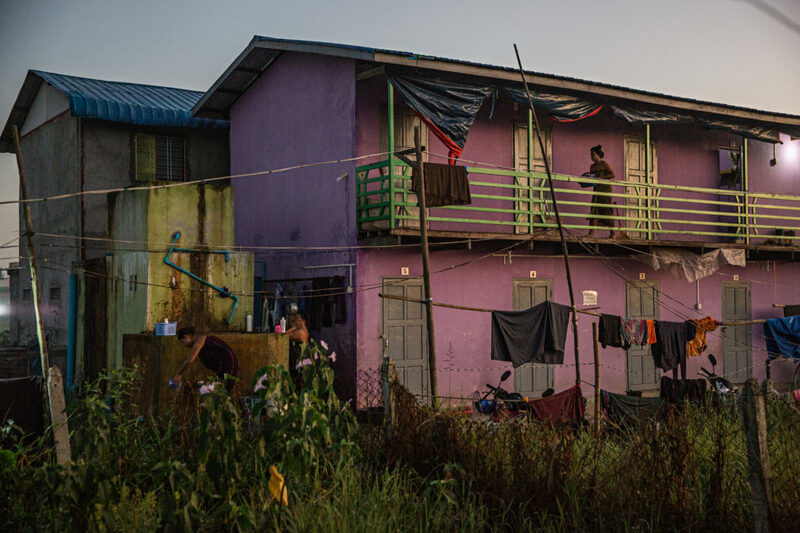 Exterior of a dormitory for garment factory workers. 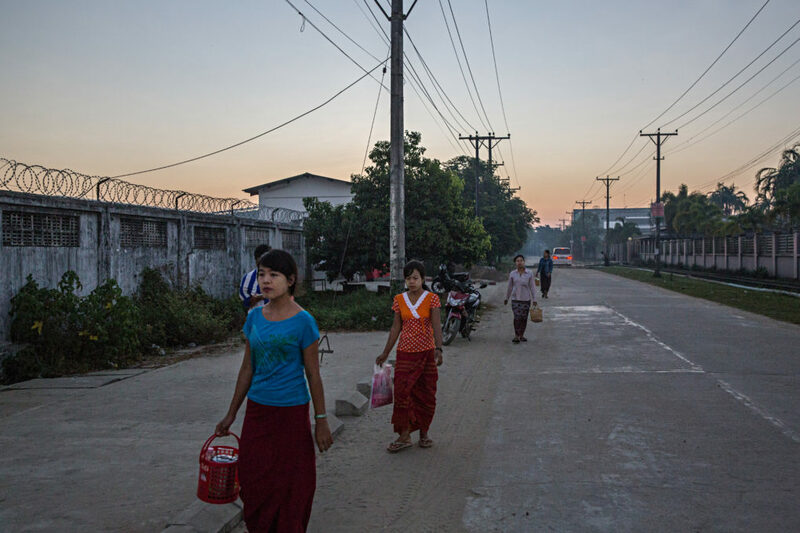 Garment factory workers walk to Myanmar Century Garment in the early morning before work. A Myanmar traditional longyi pattern. 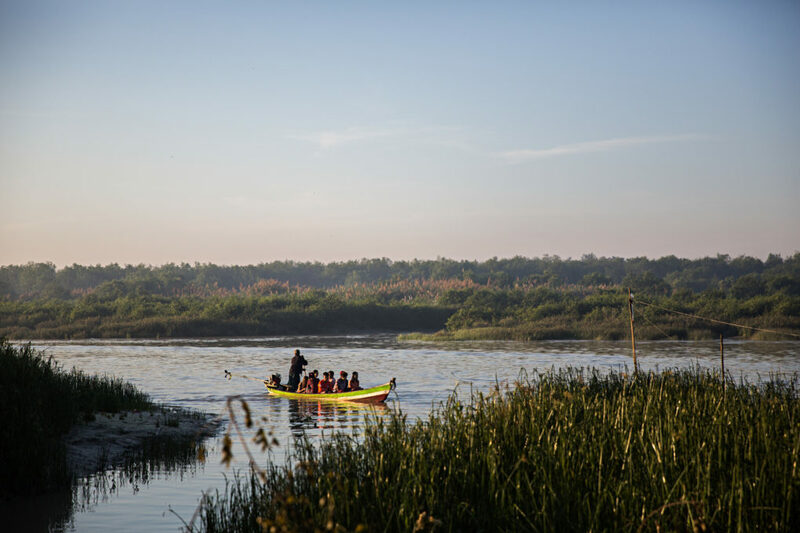 Garment factory workers travel by boat to work in the morning from a small village across the canal. 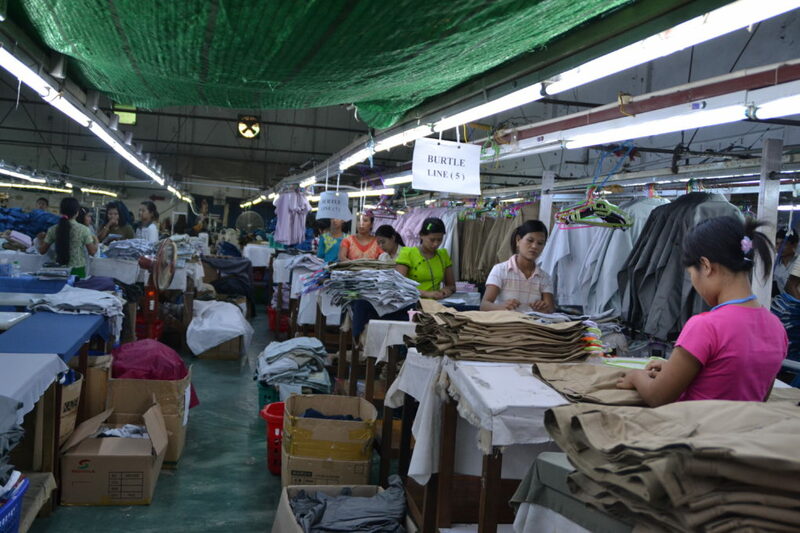 Squatter area for garment factory workers in Yangon's Hlaing Tharyar Industrial zone. 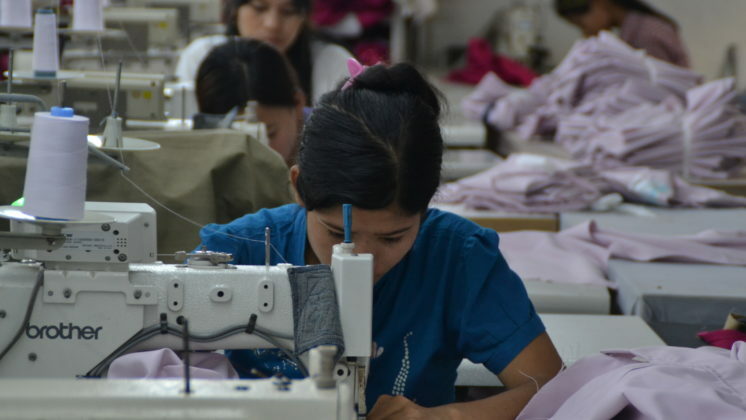 Workers at a garment factory in Myanmar. 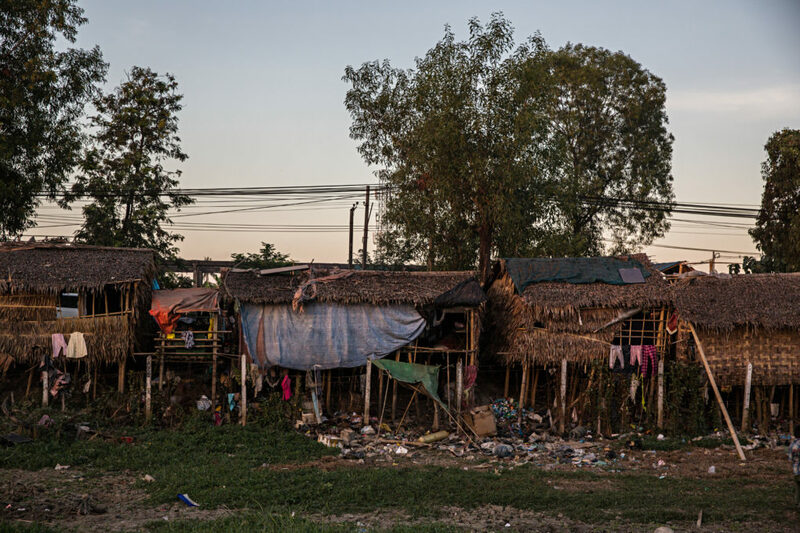 A woman washes her hair outside of her home in a squatter village where many garment factory workers live. 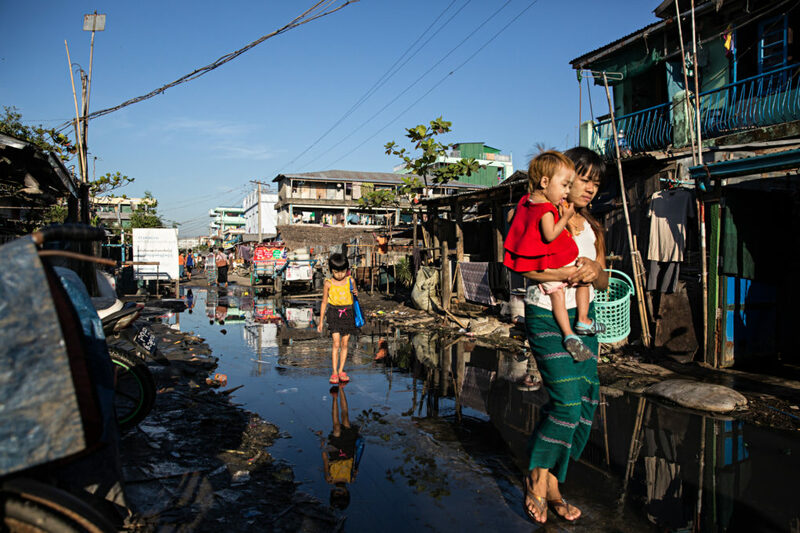 A woman and children walk down the flooded streets of Yangon's Hlaing Tharyar industrial Zone, an area that houses many garment factory workers. 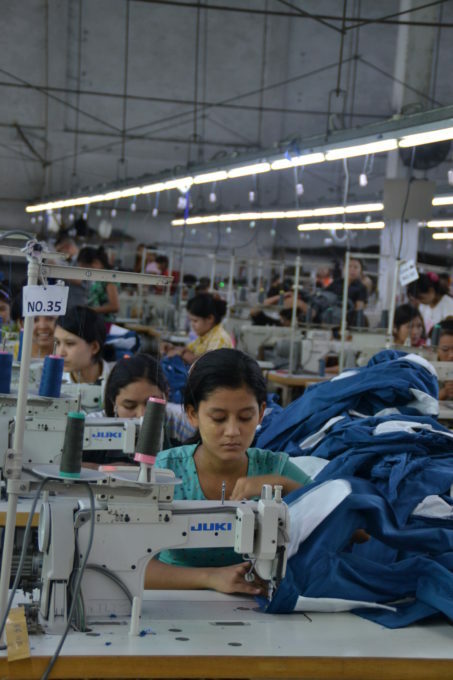 Garment factory workers walk down the footpath near their home on their way to work. 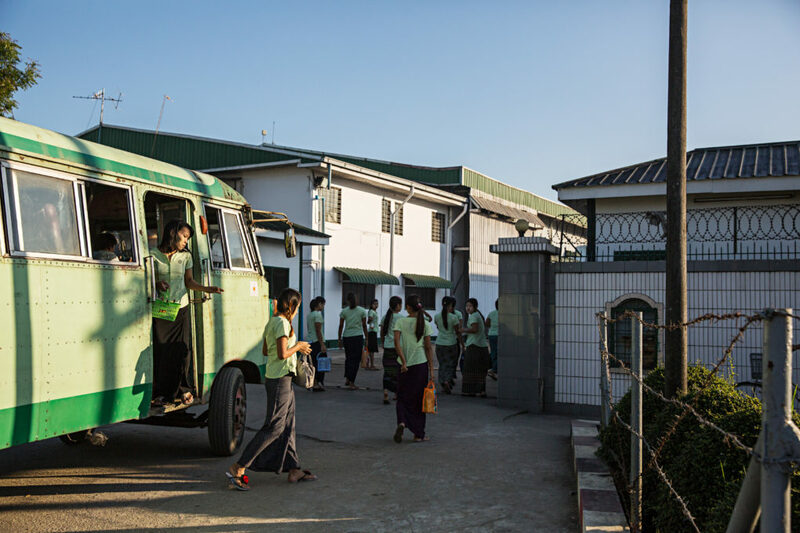 The girls get a stipenf of 300 kyats ($0.25 USD) if they choose not to take the shuttle bus provided by their factory. 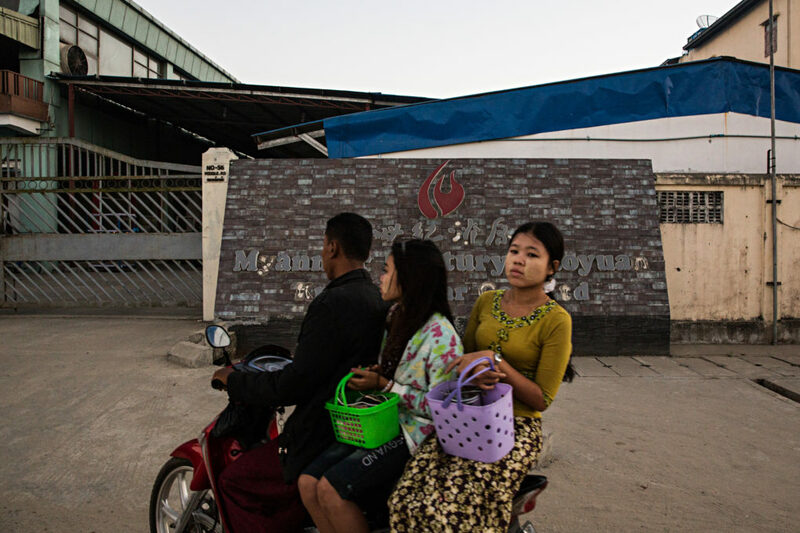 A shuttle bus drops of workers at Charming Garment Manufacturing in Yangon's Hlaing Tharyar industrial zone.